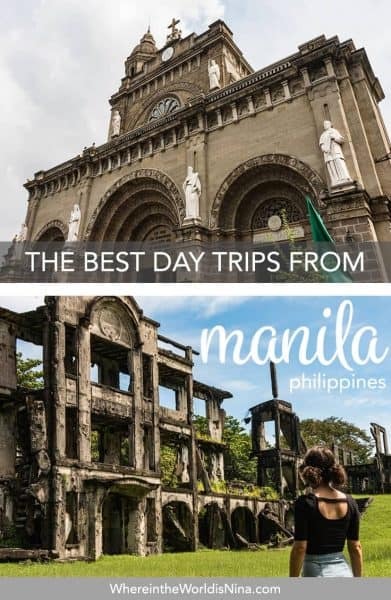 The city of Manila is often referred to as the ‘Pearl of the Orient’, and although it has endured many hardships in its past, is now a thriving city with many things to see and do. 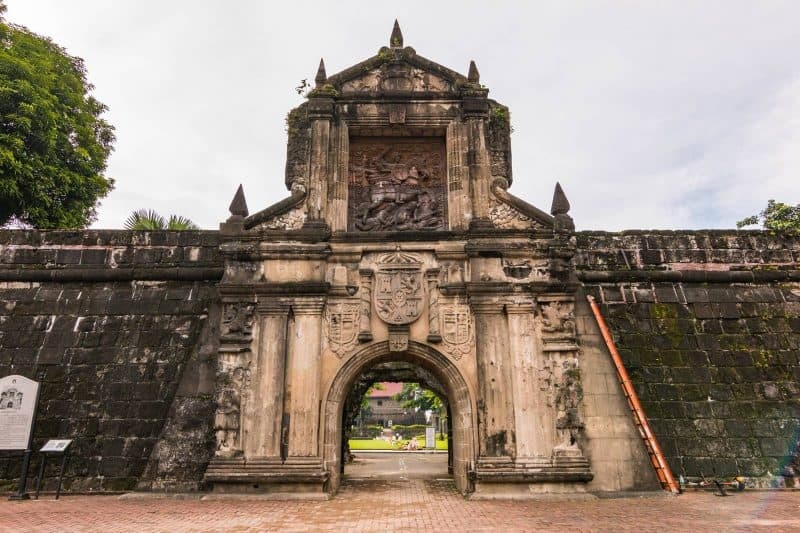 As well as some outstanding sightseeing opportunities, those that delve a little deeper will be able to uncover the town’s more creative and cultural side, such as in the ancient district of Intramuros. The surrounding area is also beautiful and fascinating and can be explored in more detail with a range of day trips from Manila on offer. It may be surprising to some to see the chaos in the metropolis and then within an hour or two be amongst the lushness of nature hiking a volcano or staring down at a massive lake. Don’t be intimidated by the congested concrete jungle that you see before you and try digging a bit deeper. Beneath the surface, you’ll see the charismatic mixture of Spanish colonial architecture mingling with modern skyscrapers alongside a hodgepodge of urban dwellings, all begging for you to uncover its history. While some of these spots on the list are possible to visit without a tour there’s always that sense of “what am I actually looking at” when you don’t have a knowledgeable local guide. So if you’re truly interested in what this city has to offer, I implore you to reach out and book a tour in Manila to get the real stories. Intramuros is a fascinating place to explore, as the oldest place in Manila, it has a wealth of historic landmarks and a rich culture. Over the years, the wars and revolutions in the area have certainly left their mark, with much of the walls surrounding the city now reduced partially to ruin. The walls are meters thick and the impressive Fort Santiago really is a sight to behold. Spanish colonial architecture you’ll see on an Intramuros tour. Except for a short period of British rule, Intramuros was a Spanish city until 1898, until the US took control of the Philippines at the end of the Spanish-American war. Despite the towns turbulent history, it still remains a great place to soak up the area’s colonial past. The town’s most famous feature is arguably its remaining walls, which cover a circuit of nearly 3 miles that almost completely surrounds the entire district. Many of the city’s ancient gates and most of the walls have been restored to their former glory, however many of the landmarks within the walls have remained untouched. The main street of General Luna gives visitors easy access to most of the major attractions, which include San Agustin Church and Manila Cathedral, which can be found down connecting cobbled streets. Following the main street, all the way down to the northwestern tip will find you standing in front of the Fort. The fort was the former military headquarters of the Spanish colonial government. It is now considered a major landmark and is one of the most popular tourist attractions in the area. There are a variety of ways to see the city and gain a better understanding of its past, and some of the best Intramuros tours can be found below. 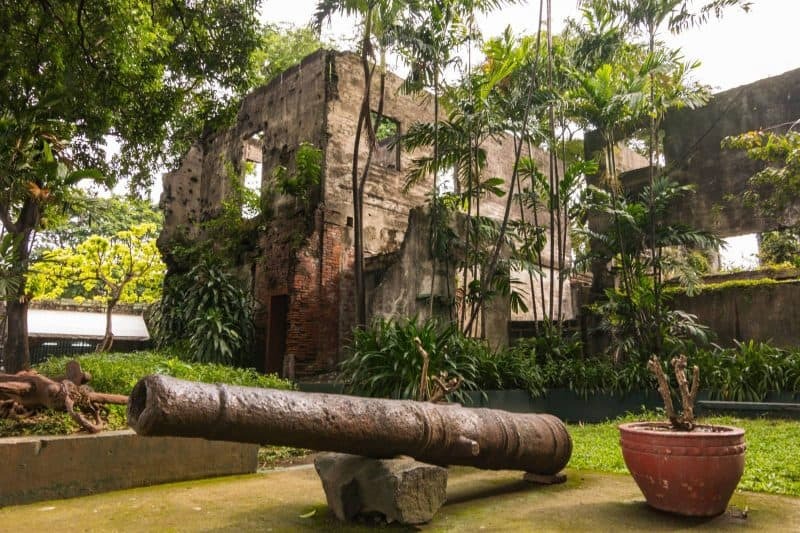 To fully immerse yourself in the unique history of Manila, take this Intramuros tour where you can explore this historic sights that date back more than 400 years. Seeing a bit of history on an Intramuros tour. 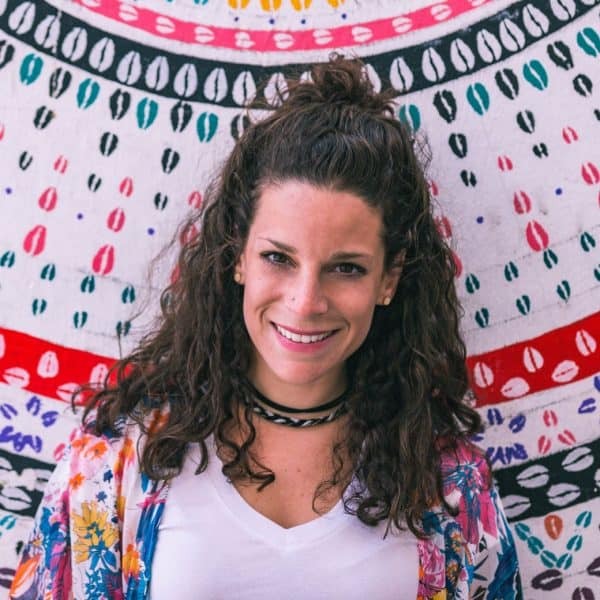 Your walking tour will take you through tombstones, plazas, city walls and more, while your guide entertains you with tales of treasure ships and battles of old. It is one of the best places to learn about the country’s experiences during and after the foreign occupation. Manila tours don’t get better than feeling the wind in your hair as you ride through the historic streets of Intramuros. The trip will be made even more unique by the fact that each bike is made with all-natural bamboo, handcrafted by the local Bambuilders craftsmen. On your journey, you will visit at least 5 to 10 historical sites such as Fort Santiago, Rizal Shrine and Casa Manila. On your Intramuros tour, you will even cycle to the top of the walls of Intramuros for some stunning views. What better way to enjoy a Manila tour than by Electric Chariot. Hop from one historical monument to another with ease, with a knowledgeable tour guide alongside you every step of the way. 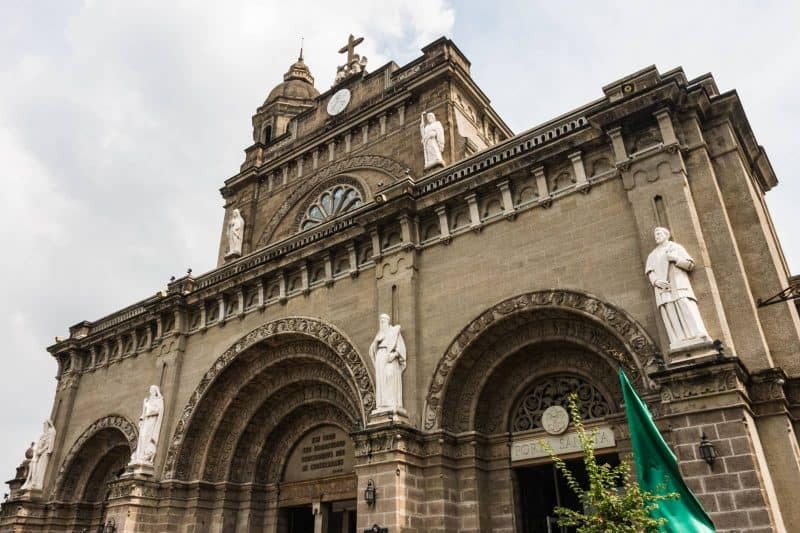 Highlights include the Manila Cathedral, San Agustin Church, Fort Santiago and much more, choosing between a half an hour or hour tour Manila tour for a truly memorable experience. 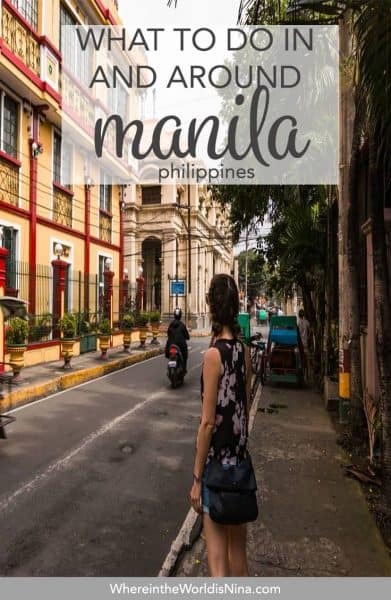 To see all of the sights that the capital city of the Philippines has to offer, a Manila tour of the city is your best option. Discover the unique urban scenery of the busy commercial center, Makati and visit the American Memorial and Cemetery. You can also take part in an Intramuros tour, the historical core of the city, and finish the tour with a visit to Fort Santiago. In just a day you will be able to visit the city’s key historical sights and learn more about each along the way. A great day trip from Manila is to San Miguel and Malacanang Palace. On this Manila tour, you can learn all about the country’s presidents while peeking into the sumptuous state rooms of the presidential palace. 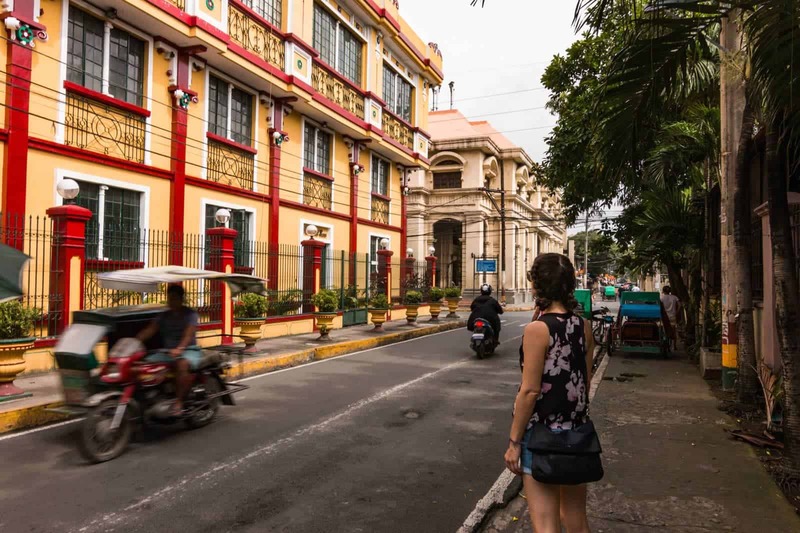 Following this, you can visit the historic district of San Miguel where you will be transported back to the glory days of the city as you wander the busy streets, before heading back to your starting point of Legarda Mansion. A popular day trip from Manila is to Las Casas Filipinas de Acuzar in Bataan, one of the best historical attractions in the area. You will be taken on a cultural journey where you will witness some authentic Filipino craftsmanship and cultural heritage through an interactive walking tour. Take in the historical ambiance as listen to tales from your guide before spending some time on the nearby beach. If you want to fill your Instagram up with some enviable posts, then head to the Dessert Museum in Manila. The museum is sure to give you a fun and unique few hours as you slide down through a donut hole to explore 8 mouth-watering rooms of tasty treats. Throughout the Manila tour, you can indulge yourself on some complimentary desserts which have been specially cultivated to fit the theme of the room you are in. You won’t be able to resist snapping away throughout your entire day trip from Manila. The incredible food scene in the Philippians is varied and unique and is well worth exploring. There are many Manila tours that can give you an insight into the foodie world that this country offers, with knowledgeable guides to help you out and share their knowledge along the way. 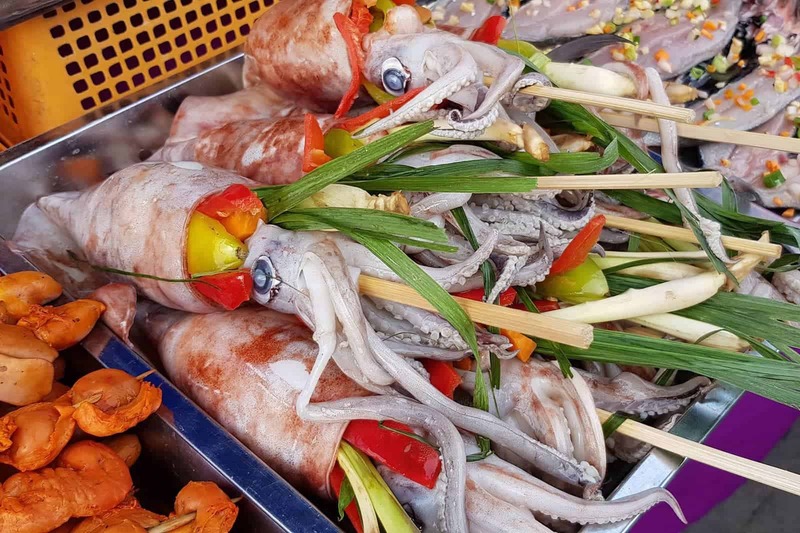 One of the best places to start is at some of the local markets, head to the night markets which are vibrant and full of life to experience the culture as well as the food scene. Some tours will also allow you to prepare and taste some Filipino food yourself. Escape the crowded city streets on a day tour from Manila to Cintai Corito’s Garden in Batangas. As soon as you step into the 7-hectare resort you will feel your worries start to slip away. Get unlimited use of the resort’s facilities which includes 4 pools and picturesque cabanas. Enjoy a delicious lunch in Abadi Restaurant or pamper yourself in the spa, no matter how you decide to spend your day, you will leave feeling truly relaxed and refreshed. Get a glimpse of true Philippian nature on this day tour from Manila, starting with a hearty breakfast. Travel through caves, stone trails and a hanging bridge located 600m above sea level as you explore the natural flora and fauna of Masungu Georeserve. Not for the faint of heart when it comes to heights. The Georeserve is a conservation mission to preserve the 66 million-year-old limestone karst formations, and you can learn all about the process. On this exciting adventure, you will be amazed at the beauty of the landscape surrounding the city. 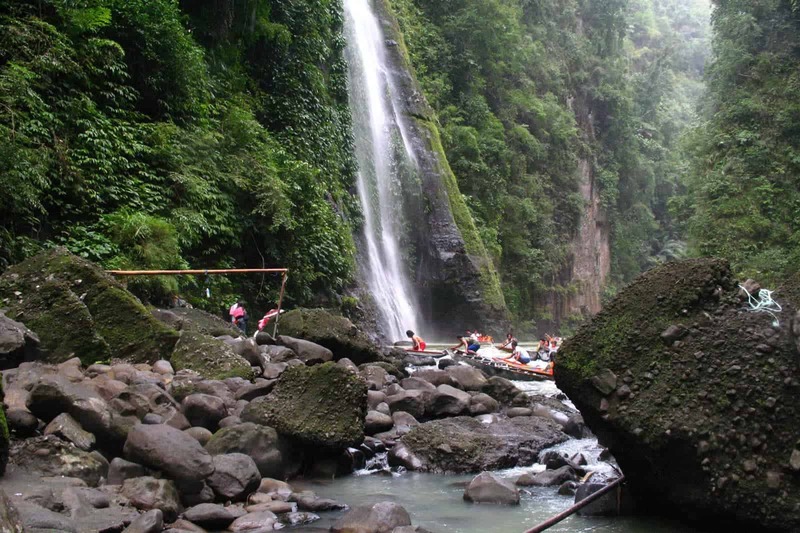 Take a day trip from Manila to the incredible Pagsanjan Falls. You can start your adventure on a banca, a local canoe, along 17 km of stunning crystal waters, passing through lush vegetation and impressive rock formations along the way. Get your adrenaline pumping as you hit the rapids and 20 minor falls before reaching the main event, the Pagsanjan Falls. Cool off in the waters surrounding the falls and as an added extra, try the raft ride into the Devil’s cave. The picturesque city of Tagaytay is only a short day trip from Manila, making it a favorite spot for tourists and locals alike. The city is located 670 meters above sea level, meaning you can enjoy stunning views of Lake Taal and Taal Volcano. On your trip, you will visit several key attractions such as Sonya’s Garden, the Mahogany Market, and Palace in the Sky. After a hearty lunch, move on to Sky Ranch, Good Shepherd, and Calaruega. 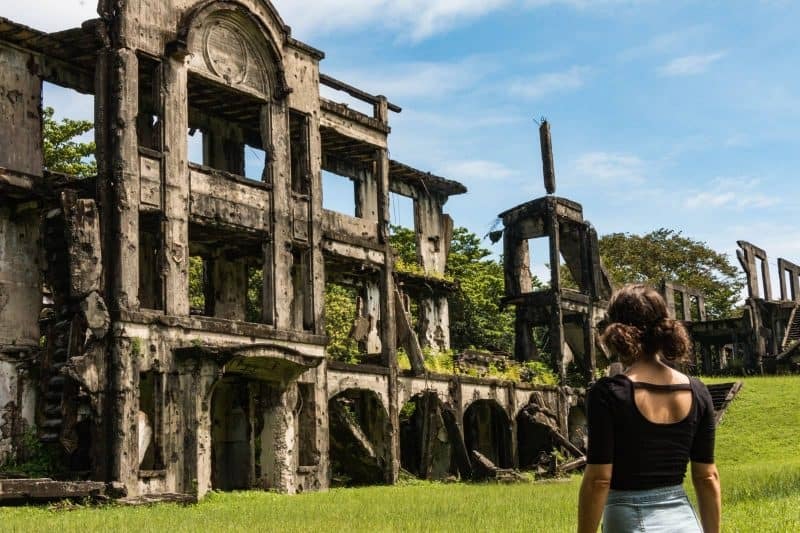 On this full day sightseeing tour from Manila, you will visit one of the most Corregidor Island, the location of one of the most celebrated battles of WW2. You can delve further into the history of the war and the part that the Philippines played in the barrack ruins, before reliving the history in the Tunnel Light and Sound Show. While on this Manila tour you can also enjoy stunning views of Manila Bay and the surrounding islands. This hiking day trip from Manila will take you to some of the best hiking areas around Mount Pinatubo. Before your walk, hop on a 4×4 for an exhilarating ride to the jump off point. Your walk up the mountain will be rewarded with a stunning view of Mount Pinatubo’s famous crater lake, with its magical color changing waters. After a quick bite to eat and a breather, you will continue your tour back down to the flat ground. 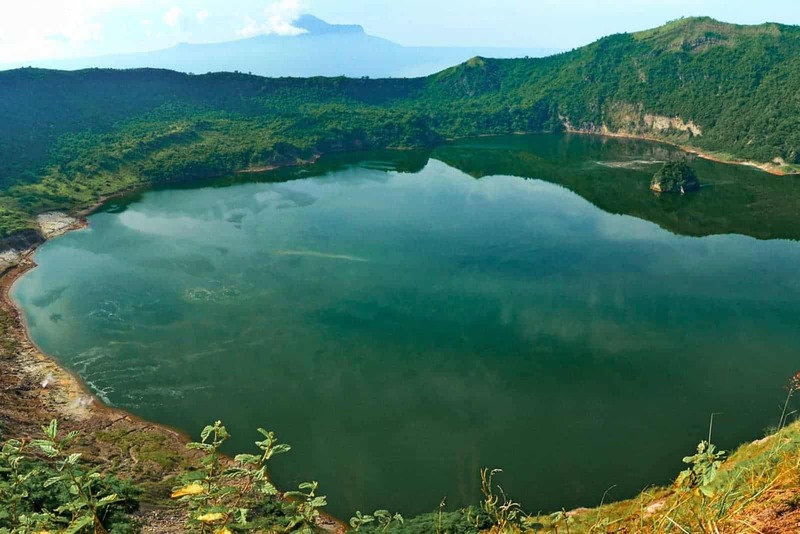 Put on your hiking boots and take a full day hiking tour from Manila up to the Taal Crater Lake. Start your adventure by boat to the island volcano, before disembarking and starting your trek. With knowledgeable guides with you the entire way, you can learn more about the formation of the landscape. The last eruption was in 1977! 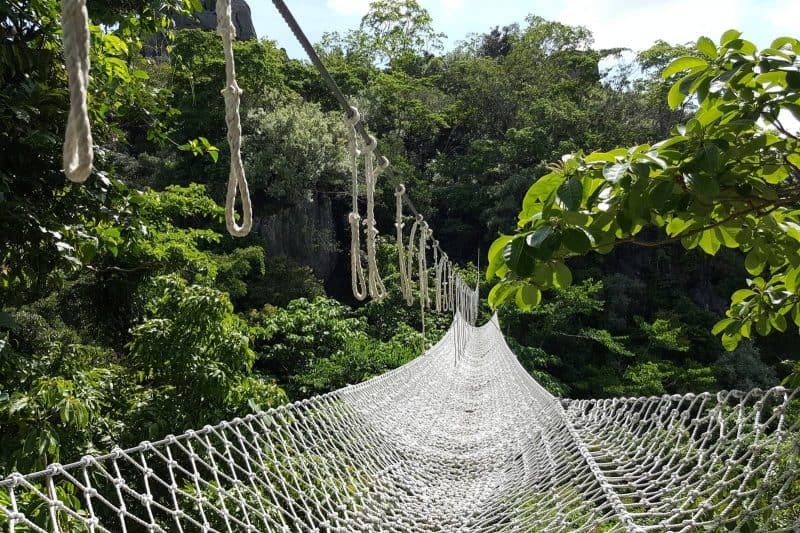 On this 10 hour Manila tour, you will be treated to some of the country’s most breath-taking views, and you can fully appreciate the beauty of nature. Taal Volcano is the world’s smallest active volcano, with 33 documented eruptions to date. Take a break from busy city life and head to nearby Mount Batulao, one of the best sites for trekking and mountain climbing. Spectacular scenery will surround you every step of the way, and be sure to pay particular interest in the ridgeline near the summit, which is said to look like a gorilla! Along the way, you are likely to bump into some friendly locals, who will be more than happy to share tips and stories about their life on the mountain. Which of these tours around Manila are you most looking forward to? Let us know in the comments! Don’t lose this post! Click the picture and pin it to Pinterest!